Ramadan in Egypt is one of my favorite times of the year. 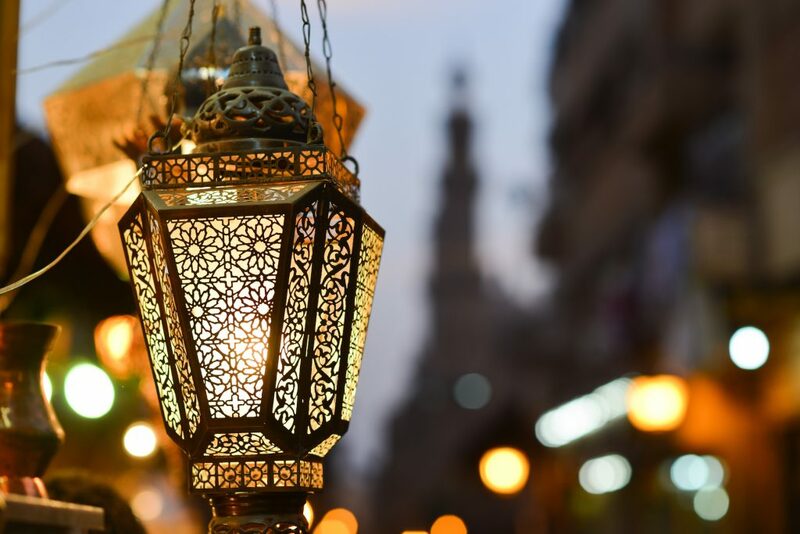 If you’re traveling in Egypt during Ramadan, it can be fascinating to experience and learn about the beliefs and practices of millions of Egyptians. Ramadan: What Is It All About Anyway? Ramadan in Egypt: When does it start? This year (2018), it will be from around 15th May-14th June. The actual date varies every year (about 11 days earlier every year). The commencement depends on the sighting of the crescent moon, as it is based on a lunar calendar! Ramadan is declared by the religious leaders in the area: each country (and even city or town) will commence at slightly different times. It lasts for 29 or 30 days (again, depending on the sighting of the moon). Ramadan in Egypt: What do people do? Adults (having reached puberty) fast during the daylight hours: from dawn to sunset. This is to teach patience, humility, discipline and sacrifice. But it is much more than just a matter of refraining from food and drink. Muslims are also encouraged to do away with bad habits: refrain from evil actions, thoughts and words. Being kind to others, helping those less fortunate, and performing good deeds is very important during this period. It is a time of spiritual reflection and worship. It’s an opportunity to put more effort and emphasis on purity of thoughts and actions, and re-directing one’s heart away from worldly activities. Children love the Ramadan month: they stay awake all night, until dawn! They play with friends in the streets, singing special Ramadan songs. They also love to help with the pre-dawn waking up sound. This usually involves running through the streets banging on a pot to wake up everyone to have their pre-dawn breakfast! 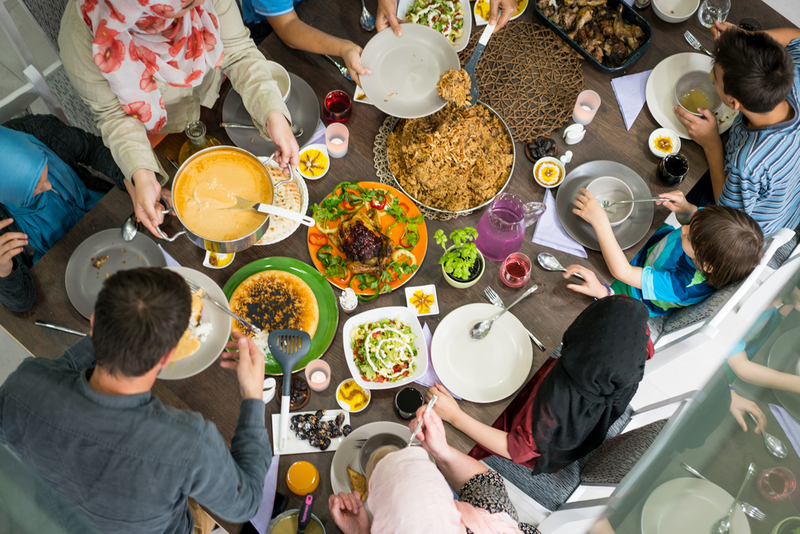 Ramadan in Egypt: So When Is It Time to Eat? The sunset call to prayer sees most Muslims in Egypt eating 3 dates and a drinking a little water, then attending prayers. After this is the social, communal meal. This is shared with much joy and enthusiasm. This meal is called the Iftar (breaking of the fast). Families will share special foods and desserts that are only made and eaten during this time. In the villages, whole families will gather to share food together. There are usually lanterns festooning the streets and colourful ribbons or cloth hung between apartments down thin alley ways. Shop-owners usually hang colourful fabrics in their shops. It all adds to the special atmosphere. Shops will stock up with a lot of Ramadan type food: lots of dates, icing sugar, raisins and nuts, coconut…. Yum!! The Iftar meal is usually the quietest that you will ever see the streets of Egypt: 90% of the population is in their homes eating together. The streets are deserted and trams virtually at a stand-still while much of the nation breaks the fast: a time of closeness, religious zeal and excitement. Ramadan in Egypt: So How Hard Is It? Physically it is a very challenging time. In Egypt, at the moment, the month of fasting is during the hot season: so going the whole day without water is deeply challenging! For those who work during Ramadan, the days seem terribly long! Most Egyptians are used to copious cups of tea and coffee a day, as well as many cigarettes or shisha pipes! So in effect you have almost an entire country going “cold-turkey” off caffeine and nicotine: makes for a really difficult first week! But Muslims love this month: they look forward to it all year and really feel a spiritual cleansing during this time. You will find that many more people attend the mosques during this time: and often entire blocks will be filled with praying people: streets come to a stand-still… it is an incredible sight. Ramadan in Egypt: How Does It End? The last 10 days of Ramadan are considered the most important, which sees a heightened spiritual intensity. The 27th night is called the “Precious Night” (or the night of destiny/power), which is thought to be the time that the Quran was first revealed to the Prophet. These last days are days that are full of blessing, hearing and answering of prayers. Ramadan comes to an end when there is a moon sighting. 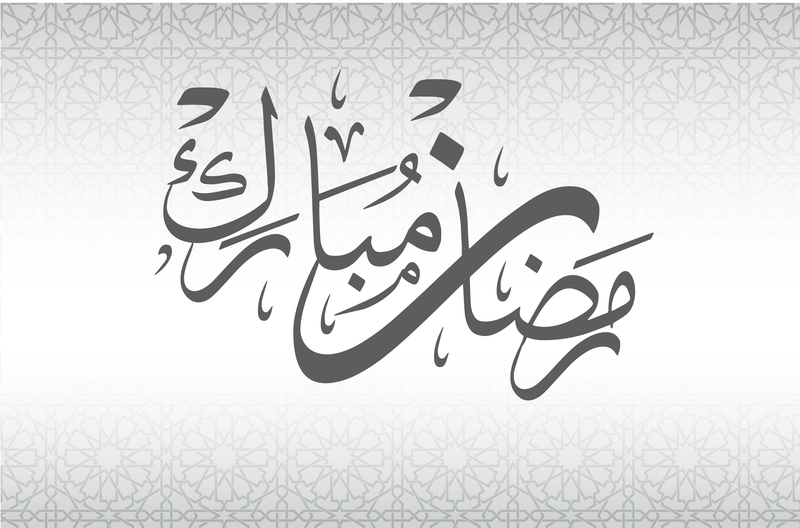 It ends with a small feast and then on the first day of the new month, there is a celebration with a final meal, Eid Al Fitr. New clothes are worn, friends are visited, families gather, and special dishes are prepared one last time. It is always with sadness that people end the month of Ramadan: the early pre-dawn meals, the challenges of daily fasting, the focus of spiritual cleansing and refocusing on God are an annual highlight for all Muslims. The children love the sense of community, the gifts, the money, and the special meals. And the poor and needy receive many gifts and blessings during this month. If you are visiting Egypt during Ramadan you will still find that shops, markets and restaurants are open during most of the day. However, we would encourage you to be considerate of those who are fasting, and not drink on the streets or eat in an obvious way around those who are trying to be disciplined: out of consideration to them. Also, as always, we would encourage you to dress modestly and conservatively as this is a sign of respect to those who are trying to fast and be disciplined in all areas. Since most of the nation comes to a standstill at sundown with the breaking of the fast, you’ll want to plan your travels accordingly. In general, plan on finishing up your touring before sunset. If you’re a night person, you’ll enjoy the festive atmosphere on the streets after the Iftar meal! We hope you enjoy Egypt during this season! Considering a trip to Egypt? Let our experts help guide you. Fill out our form and we'll send you an itinerary perfectly tailored to your desires and needs!